Vairocana is the white Buddha at the centre of the Mandala. He features in Carya and Yoga class tantras. In the Shingon school he is considered to be a personification of the Dharmakāya and is usually refered to as Mahāvairocana (Dainichi Nyorai, 大日如来) - a name which comes from the Mahāvairocana Abhisaṃbodhi Tantra. Tantric discourses are traditionally said to be have been taught by Mahāvairocana rather than the historical Buddha Śakyamuni. The image shown is a kind of generic Vairocana depicted in bhikṣu's robes with his hands in the Dharmacakra, or Wheel turning mudra - which alludes to his teaching of the Dharma which is poetically referred to as "turning the wheel of the Dharma". Shingon recognises two main forms of Mahāvairocana: in the Garbhadhatu mandala he is golden in colour, has one face and displays the dhyana mudra with a golden dharmacakra sitting in his hands; in the Vajradhatu mandala he is white in colour, has four faces and displays the Bodhyagrī mudra (Japanese: Chiken-in). The seed syllable of vairocana is the letter a. In the Shingon school a distinction is made between Mahāvairocana in the Garbhadhātu mandala and the Vajradhātu mandala, associated with the Mahāvairocana Sūtra and the Vajraśekhara Sūtra respectively. 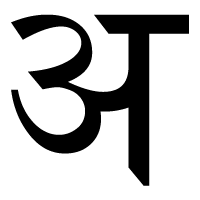 The seed syllable of the former is the simple short a, though sometimes it is elaborated as āṃḥ - the most elaborate form a can take. 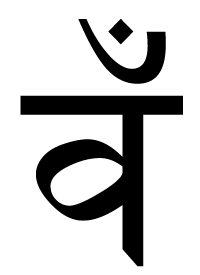 In the Vajradhatu mandala the seed syllable is vaṃ, also sometimes elabotared as vāṃḥ. 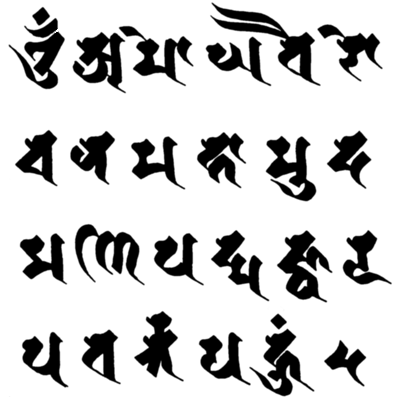 Note that Tibetan doesn't have a /va/ sound and tend to use /ba/ instead. This same substitution is found in North East India. For example the name of the Indian state, Bihar, derives from the Sanskrit word vihāra. Hence here I have used ba, i.e. baṃ and bairocana in my Tibetan transcriptions. Vairocana sits at the centre of the Mandala of the Five Jinas. He plays a very important role in Shingon Buddhism where he is known as Mahāhavairocana. There are a number of mantras associated with Vairocana. In Shingon there is another important mantra which links Mahāvairocana to the six elements - the five letters here representing the material elements, and Mahāvairocana himself represents the element of consciousness. The idea is that the whole of the universe is a manifestation of Mahāvairocana - all forms of the body of Mahāvairocana; all sounds are the voice of Mahāvairocana; and all mental activity are the mind of Mahāvairocana. A late Shingon mantra associated with Vairocana is known as the Mantra of Light or in Japanese as kōmyō shingon, or 光明真言. It features in the Amoghapāśakalparāja-sūtra and is often written in a circle. 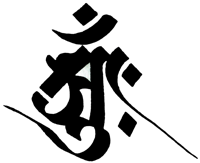 Below is calligraphy by Jayarava. On the right is calligraphy by Kūkai using the Chinese brush style. * Kūkai heads the mantra with vaṃ, the seed syallble of Vairocana in the Vajradhatu Mandala. pra va rtta ya hūṃ . I'm unsure about the reason for the subsitution of putra for mudra. pravarttaya is unclear (turn around? creating? evolve?) comes from pra√vṛt "to set in motion; come forth, issue, be produced; prevail; etc". The word is probably an error for pravartya = "to be excited to activity." Mark Unno seems to derive it from parivarta (revolving, revolution) but this seems less likely to me. Shingon Buddhist International has "evolve" and given they represent the tradition I have adopted their translation. * The image of Kūkai's calligraphy is originally from a collection reproduced in five large concertina fascicles by the Japanese monk Sō-gen in 1837 under the title of Ashara-jō. Sō-gen traced fine examples of Siddhaṃ calligraphy and then inked in the middle, thereby creating reasonably accurate facsimilies. The Ashara-jō was republished as Sanskrit bījas and mantras in Japan edited by Raghu Vira and Lokesh Chandra (New Delhi : International Academy of Indian Culture, 1965). It is reproduced in R.H. Van Gulik. Siddham : An Essay on the History of Sanskrit Studies in China and Japan (New Delhi, Jayyed Press, 1981), p.183.